Kirkstall Bridge, Bridge Road, Kirkstall, Leeds, LS5 3BW. White Stuff is the fashion and lifestyle brand selling men’s and women’s clothing. We love dogs at White Stuff. They’re welcome in all of our shops and we’re encouraged to bring them to work, too. 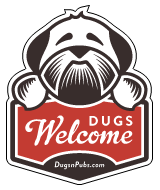 There are a total of 32 dog friendly listings in the Leeds category. Please log in, or sign up as a member to view all listings.